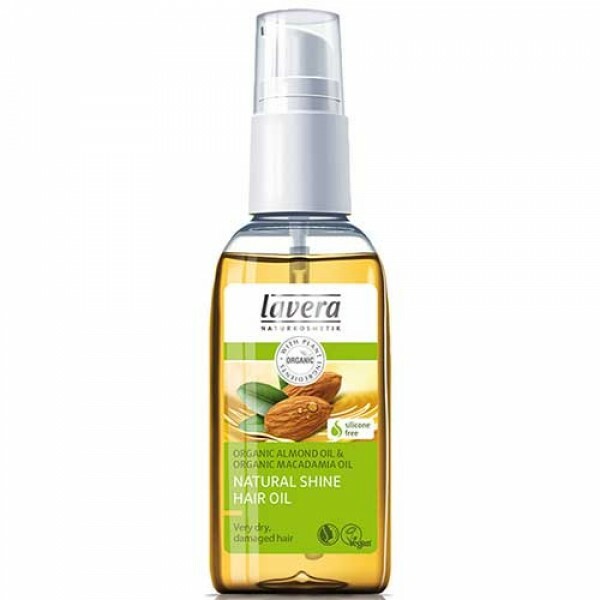 For very dry, damaged hair, Lavera natural shine hair oil contains organic almond and organic macadamia oil to keep your hair smooth, manageable, shiny and naturally beautiful. Very versatile, you can use it before OR after washing your hair. An intensive treatment for dry, very dry and damaged hair, Lavera organic hair oil helps to strengthen, protect and nourish the hair, bringing it back to life. Organic macadamia and organic almond oils are non-greasy, lightweight and easily absorbed into the hair without the hair feeling heavy or weigh down.